Looking for an effective way to brainstorm, create and present your SWOT Analysis? Look no further! With MindView, you can easily create an overview of your SWOT analysis and simplify decision making for marketing or business planning. MindView even converts your SWOT map to an impressive report or presentation - instantly! 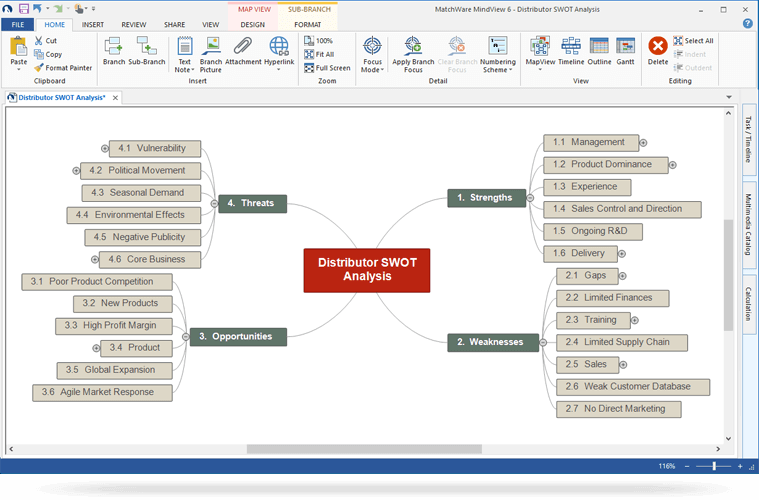 Create SWOT analysis reports/presentations with a click of your mouse! Mind Mapping is a powerful brainstorming technique that is especially effective for performing SWOT analyses. MindView software is based on Mind Mapping and enables you to visualize Strengths, Weaknesses, Opportunities and Threats, simply by creating a web of ideas on a Mind Map. Use the templates provided or create your own. MindView even lets you print out your SWOT analysis as a poster, quickly and easily! Elaborate on each topic in your SWOT analysis by inserting notes and citing sources with hyperlinks to websites, etc. Additionally, you can attach relevant .pdf and Excel files, Word documents and more simply by right-clicking any topic, turning your SWOT analysis into an interactive map that facilitates collaboration and ensures insightful decision making. 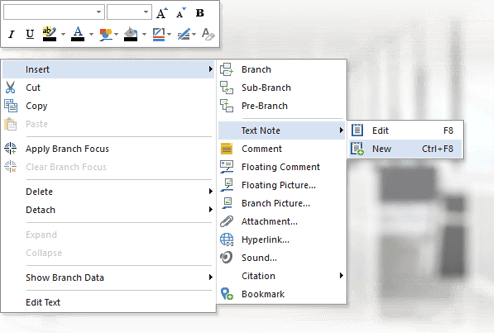 Seamlessly integrated with MS Office, MindView lets you distribute your SWOT analysis as a report by simply exporting your Mind Map to Word. All notes and file attachments will be included and remain intact. With several easy-to-use professional templates, your reports will stand out! Alternatively, you can convert your Mind Map to a PowerPoint presentation. MindView sets up your presentations automatically, so with a simple click of your mouse, you're ready to present! For further collaboration you can share your SWOT analysis with colleagues and clients using MindView's FREE viewer (available from the Downloads menu).